Made in USA Certified® proudly grants Certification to American Refining Group, Inc. in Bradford, Pennsylvania, the birthplace of the U.S. domestic oil industry more than 100 years ago. American Refining Group, Inc. has successfully completed the Made in USA Certified proprietary supply chain audit process and is the first oil refinery to be granted license to use the Made in USA Certified® Seal for the following products: Brad Penn® Lubricants, Kensol® Naphthas and Distillates and Kendex® Base Oils, Custom Blends, Waxes and Resins. American Refining Group, Inc, a privately owned facility, is situated on approximately 131 acres in Bradford, Pennsylvania, McKean County and the birthplace of the U.S. domestic oil industry over 100 years ago. The refinery has a rated capacity of 11,000 barrels/ day processing 100% Pennsylvania Grade Crude. This type of crude is available domestically and American Refining Group purchases the majority of their crude from sources in Pennsylvania, Ohio, New York, and West Virginia. It is the oldest continuously operated lube oil refinery in the world. They strive to supply their customers with consistent quality products and flexibility in working together, delivering the highest quality service. 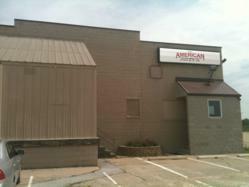 American Refining Group’s stocks are converted into high quality waxes, lubricant base oils, gasoline and fuels, as well as a wide variety of specialty products. American Refining Group’s state-of-the-art blending and packaging facilities have the capability of producing a full spectrum of finished lubricant products. These products are available in a broad range of package sizes including bulk and these products can be delivered either by rail and/or truck. 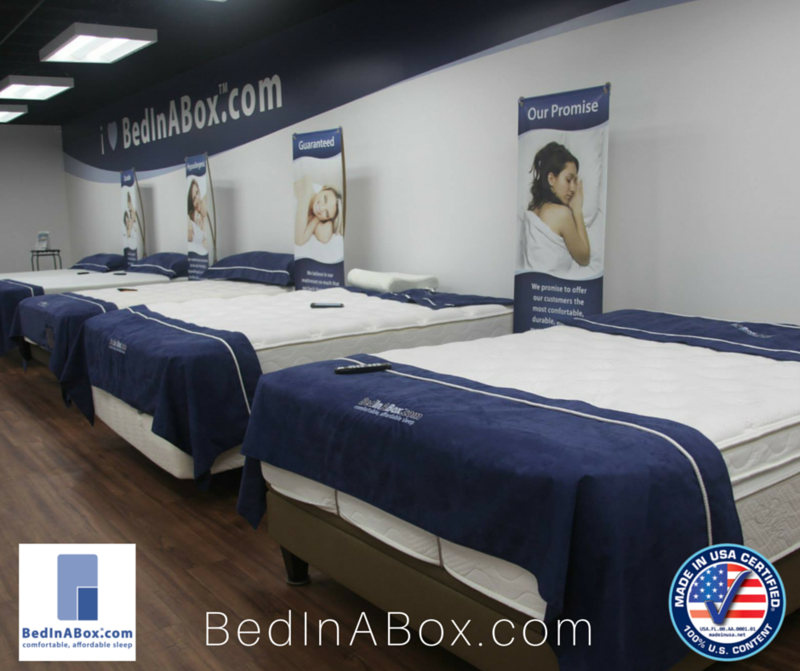 Our total commitment to quality is proven through our packaging plant and refinery being ISO 9001:2008 certified and Made in USA Certified. 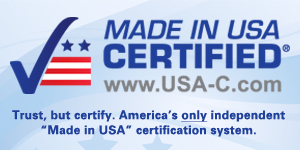 Made in USA Certified® is the only Registered “Made in USA Certified” Word Mark with the U.S. Patent and Trademark Office and is the leading non-partisan, independent third party, certification company for the “Made in USA”, “Product of USA”, “Grown in USA” or “Service in USA” claims. 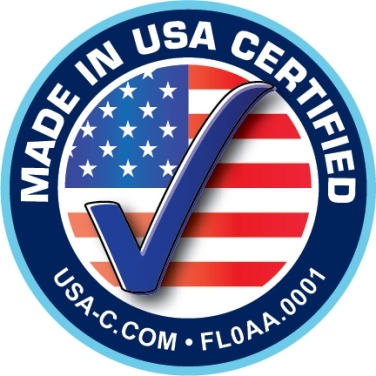 The USA-C™ Seals show that a company bearing these trust marks has gone through a rigorous supply chain audit to verify compliance with our strict certification standards. Together, We Create Jobs in the USA! Meet the Chinese tilapia, a bland food product that grows fast and sells cheap. Environmentalists hate it, but Americans keep ordering more. At the end of a wooden pier, a squat red machine the size of a dishwasher hums along with the din of nearby cicadas. The fish-feeder is tossing grain pellets into one of Chen Haiping’s nine fish ponds, each as long as a football field, in the town of Shuixi, in China’s Guangdong province. It’s breakfast time, and thousands of tilapia are thrashing their tails and sticking their mouths into the air to get some of the soy-and-corn mixture. Chen, a 32-year-old former duck farmer with a wispy mustache, has been running this farm for eight years. Before the tilapia, these ponds were filled with shrimp, which the Chinese like. They aren’t big fans of tilapia, a foreign fish; the name in Chinese,luofeiyu, refers to tilapia’s origins in Africa. It doesn’t have much flavor, and it doesn’t grow big enough to put in the middle of the table at a family meal. Americans, however, can’t get enough of Chinese-raised tilapia, so tilapia it is. The fish, Chen notes, are hardier and don’t require as much work. “Shrimp can die much more easily,” says Chen, who wears a wide-brimmed straw hat to protect himself from the 95-degree heat. Despite environmental warnings about Chinese-raised tilapia from watchdog groups such as the Monterey Bay Aquarium’s Seafood Watch, which publishes an influential best choices/avoid list of seafood and rates Chinese-raised tilapia as “avoid,” U.S. consumption keeps rising. In 2009 the U.S. imported 404 million pounds of tilapia, up from 298 million in 2005. Wal-Mart Stores (WMT) imports nearly 200 shipping containers, or 8.8 million pounds, every month, although they will not say how much comes from China. (The company declined to comment.) Domestic fish farmers can’t come close to meeting demand. Although there are tilapia farms in the U.S., the fish does better in tropical climates, so most of it comes from Asia or Latin America. The temperature is starting to cool, football season is underway, and the leaves are definitely changing. There is no question that Fall is steadily approaching and just as the leaves and temperature change, so should our clothes, reports the All American Clothing Co. The All American Clothing Co., one of the fewest and finest USA made clothing companies, today issued a report on the must have USA made styles for fall. Yes, there are clothing options out there that are made in America. Here are the 10 styles. Click here for an updated list of USA made clothing items for sale. This American made jean comes with a comfortable All American, Classic Relaxed Fit – not too tight, not too loose. The jean is Made in the USA all the way from the materials to the labor as it can be traced back to the American farmers who grew the cotton with a process called Traceability. The process supports over 12,000 American workers. A comfortable fit and confident look for the girl with curving hips and thighs. This USA made jeans enhances natural curves as they become beautiful in this contoured to fit jeans. The quarter-zip fleece is stylish, ultra-soft and versatile; it can be worn to the football game or a casual day in the office. This soft fine jersey long sleeve tee is a great basic tee to have. It has a smooth, lightweight surface that’s crazy for comfort. The All American Classic Jeans fits just like the old favorites do. This is a regular (not relaxed) fit jeans with a straight leg, mid-rise and is made of a premium 13.5 oz. denim. This jeans is made in the USA and features ‘Traceability Technology’ to show exactly where the jeans came from. Wear these soft, stretchy leggings in a look that is blazing and survive the cold without even trying. There is nothing too crazy about this sweatshirt. It is soft, roomy, and American made. This linky soft and lightweight long sleeve tee is another essential for the wardrobe. It is elegant and effortlessly chic. This American made sock is fully cushioned with a hard-working, stay-up leg. This high quality, durable shirt will look great in the fall. The cut on the shirt is tighter across the chest and the armpits. Want more? Be sure to check out the All American Clothing Co. for many USA made clothing styles. Ten years ago rye whiskey was on the brink of extinction. Despite its venerable history as the whiskey made byGeorge Washington, only a handful of distillers were bottling this quintessentially American spirit. And you definitely couldn’t order a rye Manhattan at your local cocktail lounge. Now craft distilleries have popped up across the country devoted solely to making the golden liquor. And hipsters from Brooklyn to San Francisco can impress their friends by commenting on the peppery notes imparted by the rye in their Old Fashioned. Rye lovers say the whiskey is spicier, edgier and less sweet than bourbon, which is made of corn. But few studies have actually looked at what makes American whiskeys unique how fermenting rye versus corn changes the taste, aroma and mouth feel of the spirit. Chemist Thomas Collins is trying to fill in those blanks. He and his team at the University of California, Davis, have analyzed the flavor profiles of about 70 American whiskeys, including 38 bourbons and 10 ryes. In many cases, Collins says, what matters the most for a whiskey’s flavor isn’t what grain is in the bottle but where the spirit was produced and what other whiskeys are made at the distillery. Through their analysis, Collins and his colleagues discovered about 4,000 unique compounds in the 70 American whiskeys, they said Monday at the American Chemical Society’s annual meeting in Indianapolis. That’s not so surprising. Any beverage that has been roasted, fermented and then aged in oak barrels is bound to serve up a sensory smorgasbord of compounds. But when Collins and his team whittled down the list to about 30 to 50 critical flavors in each whiskey, a surprising pattern emerged. Rye and bourbons made at the same distillery had flavor profiles that looked more similar to each than to other ryes and bourbons, respectively. In other words, each distillery left a stronger fingerprint on the spirit’s character than the grain did. In contrast, the ryes made at operations that don’t also produce bourbon had a unique flavor profile distinct from corn whiskeys. Why? Collins isn’t exactly sure, but he thinks a big reason is that the dominating flavors in American whiskeys come from the wood, not the grains or the yeast. All bourbons and most ryes are aged in oak wood barrels that are charred to release an array of flavor compounds. Think vanilla flan, burnt caramel and smoky wood. These compounds seep into the whiskey as the spirit sits in the barrels. If distillers are aging their rye whiskeys in the same type of barrels that they use for their bourbons, then the two liquors wind up with a similar flavor profile. “Craft distilleries or ones that just focus on making rye must be doing something different in terms of the aging or the distilling process,” Collins says, to get a unique character to their ryes. Another factor blurring the line between whiskeys is the fact that many ryes don’t actually have that much more er, rye in them than corn, says Scott Harris of Catoctin Creek Distillery in Purcellville, Va.
By law, rye whiskeys must contain at least 51 percent rye. The rest can be corn, wheat or any other grain. The same goes for bourbons, except they need to be 51 percent corn. Recently, more craft distillers like WhistlePig in New York, Old Potrero in San Francisco and the shop Harris runs with his wife are starting to make 100 percent rye whiskeys. Then the difference between bourbon and rye becomes crystal clear, says Harris. BRANDS reviving the “Made in the U.S.A.” slogan to attract buyers for American-produced goods are relying less on patriotism and more on data that shows consumers are willing to pay a premium for better quality, quicker availability and product safety. But many companies are stepping gingerly, avoiding sweeping claims and spelling out what “Made in the U.S.A.” means for their products. Consumers are more shrewd about how few consumer goods actually are made in the United States, leaving companies less wiggle room about the origin of products. 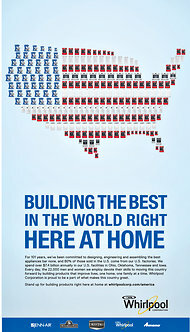 The Whirlpool Corporation, for example, specified in full-page print advertisements this year that 80 percent of its appliances “sold in the U.S. come from our U.S. factories.” Despite its deep American roots, the 101-year-old company — which makes Maytag, Amana, KitchenAid and Jenn-Air products — has, like other corporate giants, moved some manufacturing abroad. As a result of its centennial celebrations last year, some consumers have urged the company to talk more about its American origins, said William Beck, a senior marketing director at Whirlpool, which spent $57.4 million in 2011 on advertising, according to Kantar Media, a WPP unit. In recent months, the appliance giant has been underlining its American factories, and noting in its overall brand advertising that it employs about 22,000 workers (15,000 of them at its manufacturing plants), and spends $7.4 billion annually on operating and maintaining its factories in Iowa, Ohio, Oklahoma and Tennessee. Whirlpool does not share its market research, but other market studies show that customers increasingly take note of where a product is made. Perception Research Services International, in a September study, found that four out of five shoppers notice a “Made in the U.S.A.” label on packaging, and 76 percent of them said they would be more likely to buy a product because of the label. While shoppers, especially those over 35, say they want to help the economy by buying United States-made goods, “the motivating factors actually may be quality and safety,” said Jonathan Asher, executive vice president of Perception Research Services. The company, which is based in Teaneck, N.J., surveyed 1,400 consumers last summer. “People are paying attention in categories that are ingested like food, medicine and personal care products, but less so in electronics, office supplies and appliances,” he said. In a separate study, the Boston Consulting Group found that 80 percent of consumers surveyed said they would be willing to pay more for “Made in the U.S.A.” products than for those carrying a “Made in China” label. They would pay the biggest differential for items like baby food and wooden toys, and a smaller percentage for electronics, apparel and appliances, said Kate Manfred, director of the group’s Center for Consumer and Customer Insight in the Americas, which released the study in mid-November. “Safety and quality, and keeping jobs in America, are the important factors,” she said. Bixbi, a Boulder, Colo., pet treat provider, has relied on safety to increase sales. The company, which started in 2008 amid revelations of tainted dog food ingredients imported from overseas, sells dog treats made from locally raised chickens and other animals. But for all the talk about American-made goods, Bixbi is one of the few clients that have adopted “Made in the U.S.A.” marketing, said Dave Schiff, co-founder of Made Movement, a Boulder advertising firm that handles the Bixbi account. Is Apple Prepping a ‘Made in USA’ Boom? Two potentially huge Apple (NASDAQ:APPL) items hit the radar in quick succession over the past few days. If Intel manages to score the coup of becoming the chip supplier for Apple’s mobile devices, that would be a big story for both Intel and U.S. manufacturing. It was only weeks ago that Apple was supposedly in talks with Taiwanese chipmaker TSMC(NYSE:TSM) about the possibility of replacing Intel CPUs in its PCs with TSMC chips based on ARM (NASDAQ:ARMH) architecture. Intel CEO Paul Otellini (the guy who brought Apple into the Intel fold but failed to break into the mobile market) retires, and all of a sudden Apple and Intel appear to be making up for lost time. With most of Intel’s chip fabrication plants in the U.S. (including factories in Oregon, New Mexico and Arizona), domestic manufacturing would benefit tremendously. Apple sold 43 million iOS devices last quarter alone — that’s a lot of chips. The FTC has very specific rules about how to qualify for that label. To comply, Apple has to be doing much more than just screwing bases onto cases. A factory somewhere in the U.S. has to be building these things. How could you justify assembling a computer in the U.S. if you can pay ridiculously low wages in China? First of all, those low wages aren’t as low as they used to be. According to The Atlantic,they’re five times what they were in 2000 and expected to continue rising at the rate of 18% per year. At the same time, U.S. labor productivity has risen, while U.S. manufacturing wages over the past five years are now back at the level they were in 2000, adjusted for inflation. Earlier this year, The New York Times did the math and calculated that if Foxconn workers were paid equivalent U.S wages, it would add $65 to the cost of an iPhone. On a $649 device (the price of a base iPhone 4S at the time) with an estimated materials cost of $203, this would require Apple to either hike prices or bite the difference, cutting into its margins significantly. However, an iMac is much more expensive. The cheapest is $1,299, so a potential uptick in labor costs may be less noticeable. And then there’s its size. To get a sense of what it must cost Apple to ship one of these all the way from China, I tried an experiment using FedEx‘s (NYSE:FDX) shipping calculator to compare the cost of shipping a 1.4-pound box (iPhone) and a 42-pound box (27-inch iMac) from Foxconn in Shenzhen to the FedEx hub in Memphis. The result: $448.732 vs. $2,620.72. Obviously, Apple isn’t paying anything near the rate Joe Public would, and it also uses other shipping companies. But the point is clear. Shipping an iMac costs six times what it costs to ship an iPhone. If a worker at Foxconn in China ismaking $2.50 an hour compared to an average U.S. manufacturing wage of $19.15 (a difference of $16.65), so long as an iMac took 3.5 hours or so of labor to assemble, Apple would be breaking even by shifting manufacturing back to the U.S. based on the savings in shipping costs. That’s all hypothetical. But it shows how plausible it is that under current conditions, Apple might shift production of bigger products from China back home. Plus, Apple was facing limited supply of the new iMacs based on problems at Foxconn, so maybe it’s decided to take matters into its own hands. Perhaps a hit on margins is worth the insurance against a hit on revenue if Foxconn can’t keep up. It doesn’t hurt that the iMac is a relatively low-volume product (compared to iPads and iPhones) and that Apple already has an assembly facility in Elk Grove, Calif., where it built iMacs until 2004 and once employed 1,500 workers. Apple continues to refurbish iMacs for resale at this site, so it retains some technical and distribution capability. As TechCrunch notes, employment at that facility has jumped 50% this year, suggesting something is up. Without a doubt, Intel shares would surge. The company has been largely shut out of mobile, and gaining Apple’s business — even if it does so under license from ARM — would immediately vault Intel into a market leader. If it inked a mobile deal with Apple, those rumors about Apple seeking to shift its iMacs and MacBooks away from Intel would likely go away as well. Apple’s margins could well take a hit, and even a small decrease could spook investors. Still, computers make up less than a quarter of Apple’s total revenue (and iMacs are a small subset of that), so the actual bottom-line impact of assembling PCs in the U.S. would likely be minimal and may well be offset by “Made in America” goodwill among domestic consumers. Shipping companies could actually take a hit from any loss of Apple business. During the iPad 3 launch, for example, it was reported that Apple’s massive shipments form China (at premium rates) boosted the price DHL charged customers for international shipments by 20%. A steady stream of Apple shipments come from China to the U.S., and the vast majority (if not all) is by air. At the time of writing, Apple hadn’t officially commented on either the “Assembled in USA” iMacs or the Intel talks. Expect all eyes to be on Cupertino for Cook’s response to both. In the meantime, the search is already on for a way to identify the U.S.-assembled iMacs while still in the box, so that consumers can choose them — and send Apple the message that they prefer to buy American. As of this writing, Brad Moon from http://www.investorplace.com didn’t own any securities mentioned here. New York: India, a big buyer of American arms, is understandably concerned by a key US senate committee report that finds vast numbers of counterfeit Chinese electronic parts are being used in US military equipment. Where does it leave India if suspect parts have crept into US-built aircrafts and missiles it has bought or put on its shopping list? The failure of a single electronic component could put an Indian airman or soldier at risk. Over a 14-month investigation, the Senate committee’s investigative staff amassed a database with 1,800 cases of counterfeiting involving about 1 million parts. It found that 70 percent of the suspect parts were traced to fly-by-night, unscrupulous Chinese companies who supplied electronics and other computer chips to large US defence manufacturers. 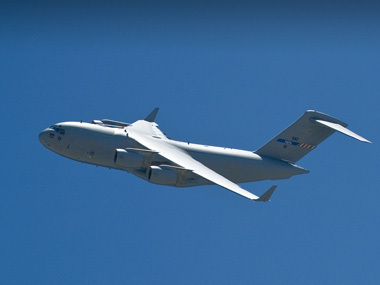 India will acquire ten C-17 Globemaster-III aircrafts from Boeing for $4.1 billion, which will be delivered in 2013. Defence Minister AK Antony told the Rajya Sabha in a written reply on Wednesday that India was verifying if “faulty spare parts made in China” were used in defence equipment being sold by the US to India. “There have been media reports in this regard, which are being verified,” Antony said this week. According to Bloomberg, the US Air Force had in January this year suspended a company called Hong Dark Electronic Trade Co., in Shenzhen (in southern China), from supplying parts to US contractors after it supplied about 84,000 fake components to a middleman, who then sold the suspect electronic parts to Boeing, Lockheed Martin, Raytheon, L-3 Communications, among others. Given Shaw’s memo, India should double-check what it is paying for when it receives new aircraft. The first of the 10 Boeing C-17 Globemaster III aircraft ordered last year will be delivered to the Indian Air Force in June next year. India is forking over $4.1 billion (Rs 22,960 crore) to buy the US Air Force’s workhorse used extensively in Iraq and Afghanistan, making it the largest defence contract to have been signed by the two governments. Antony listed some of the other US military equipment India had bought in the last five years. Last year, India purchased an amphibious transport vessel, the USS Trenton (re-christened INS Jalashwa), for nearly $50 million with six-UH-3H helicopters to operate alongside, costing another $49 million. It also bought Harpoon anti-submarine missiles under a package worth $200 million, and long-range acoustic devices, modern hull penetrating periscopes, side scan sonar, C-130J transport aircraft, sensor-fused weapons, P-8I long range maritime reconnaissance aircraft and quick reaction team boats from the US. One reason India is beefing up its arsenal is China, which has been expanding its military and modernising its equipment at a tear. This has triggered a simultaneous build-up of advanced weaponry in the Asia-Pacific region on a scale and at a speed not seen since the Cold War arms race between America and the Soviet Union. India has purchased some $12.7 billion in arms, 80 percent of them from Russia, during 2007-2011, according to the Stockholm International Peace Research Institute (SIPRI). India and the US want to eventually move beyond a seller-buyer relationship to substantial co-production and eventually, high-technology joint research and development of weapons.